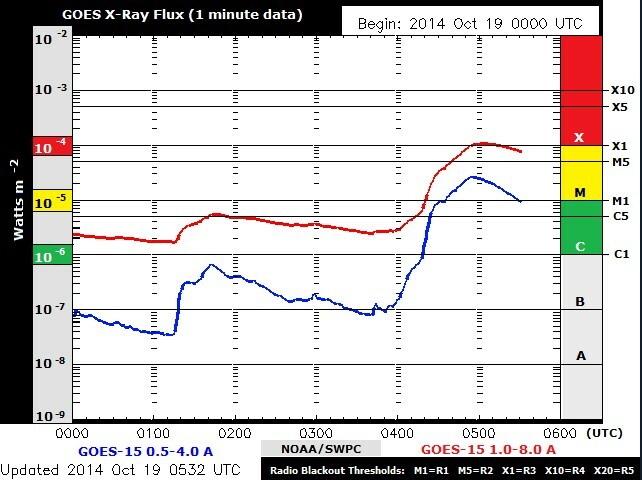 Region 2192 produced a strong and long duration X1.1 solar flare peaking at 05:03 UTC Sunday morning / October 19th. Despite the long duration nature and brightness of this event, a noteworthy coronal mass ejection was not associated with this event. The active region will continue to rotate into a better geoeffective position. Coronagraph imagery is now complete. 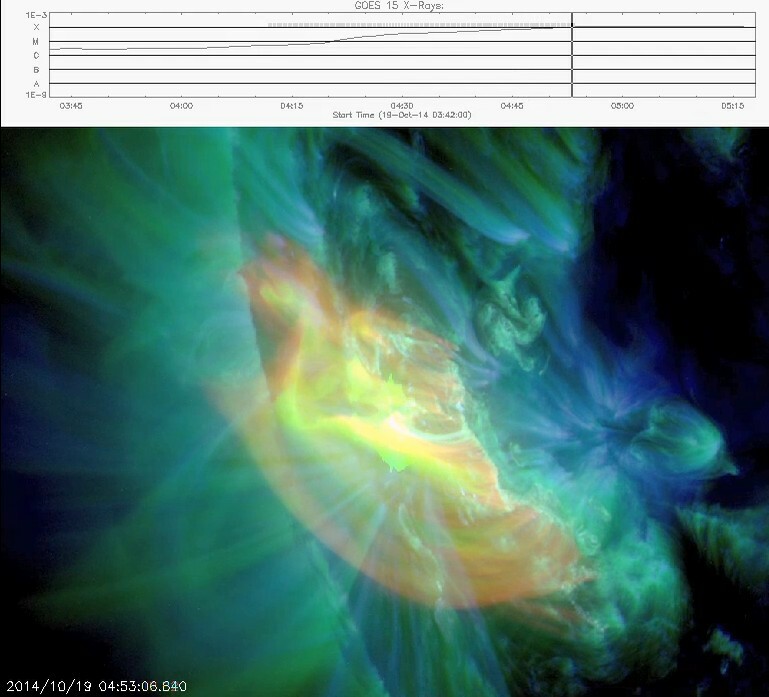 No noteworthy coronal mass ejection (CME) was observed following this event. No major impacts to our planet are to be expected. Initial data and video presentation is now available. AIA video of the event is now available on the right of page. 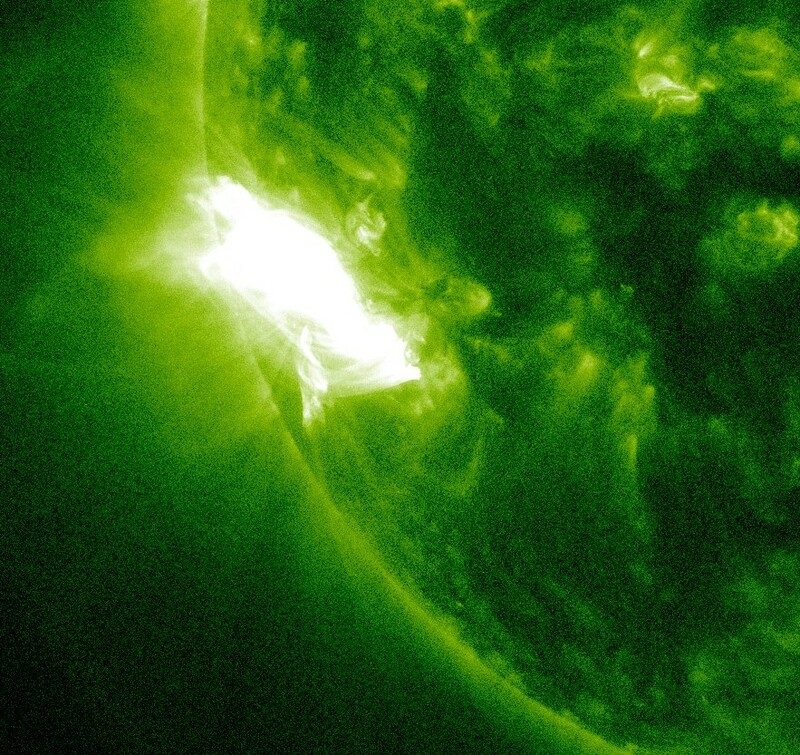 When viewing updated imagery courtesy of SDO using the 193 and 304 angstroms channels, plasma is seen leaving the flare site and headed south. 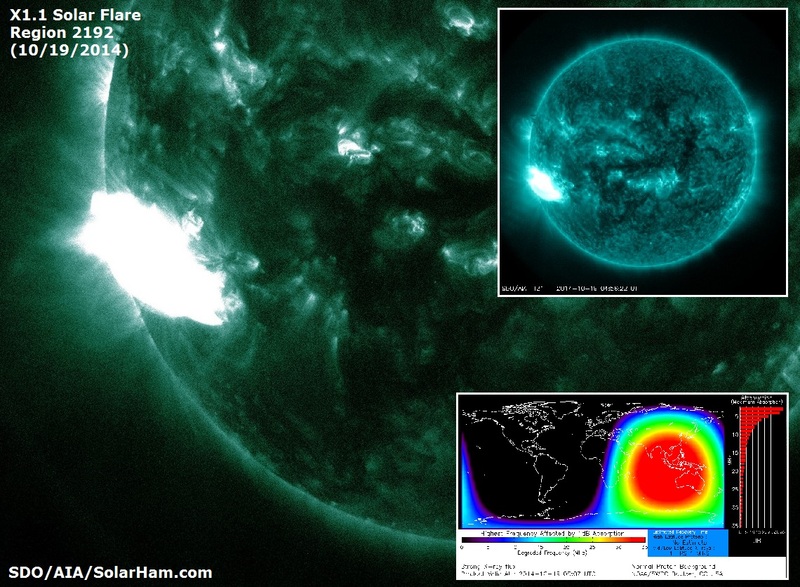 Overall, there does not yet appear to be large quantity of plasma released. This is not to say that a CME is not associated, but coronagraph imagery is needed to verify this. 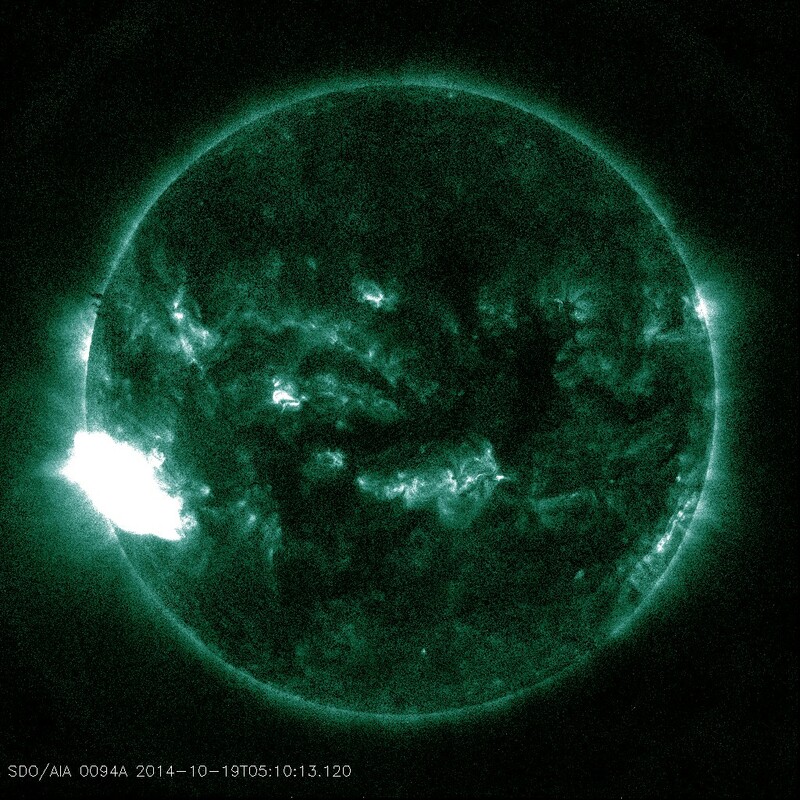 Region 2192 unleashed a strong X1.1 solar flare peaking at 05:03 UTC. 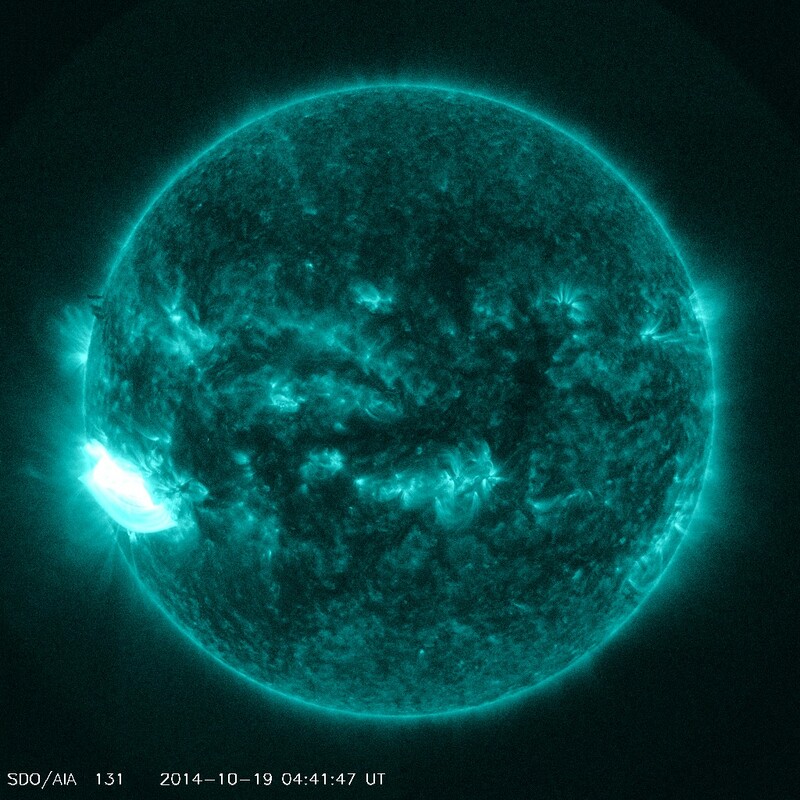 Due to the long duration nature of this event, a coronal mass ejection (CME) is possible. This will have to be confirmed once updated coronagraph imagery becomes available. 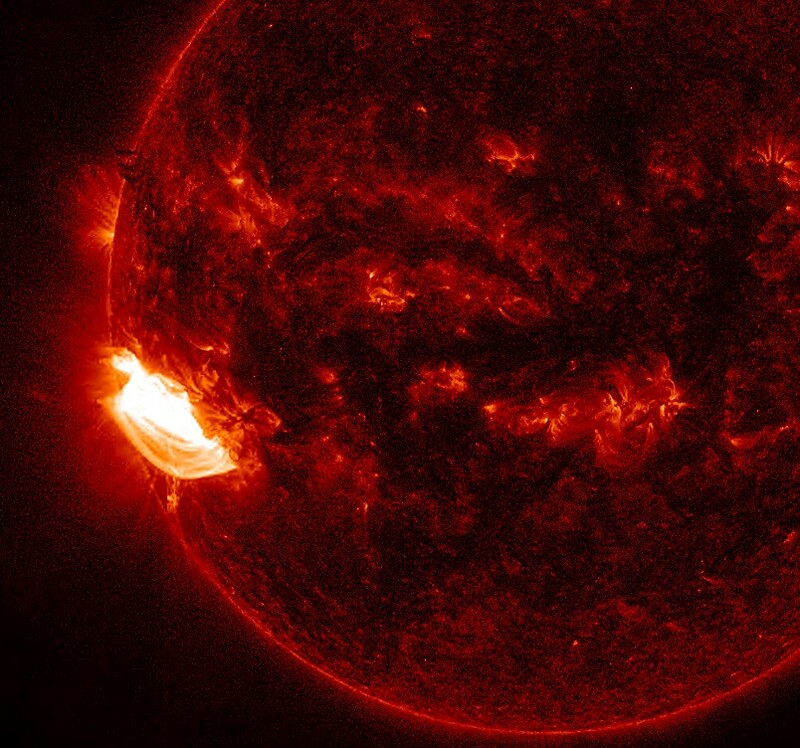 The active cluster of sunspots is not yet in a good position for Earth directed eruptions, however more updates to follow regarding any sort of Earth directed component.